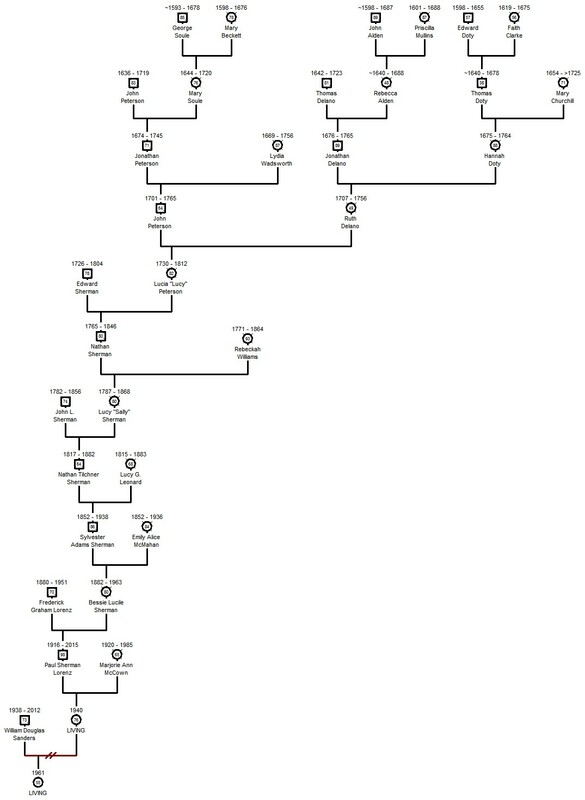 After years of researching the genealogy of the Lorenz, McCown, Sherman, Bartlett, and McMahan family lines, I have decided to create a website of the information I've collected. Our ancestors came from Germany, England and Ireland (or perhaps Scotland, more work to be done). 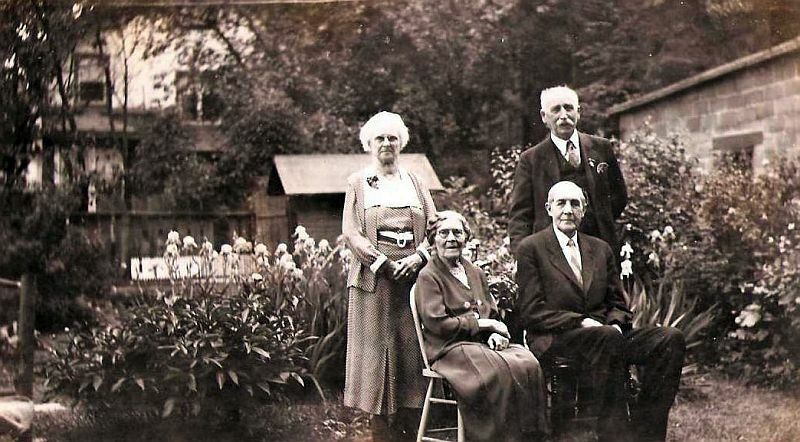 The woman sitting in the photo above, Bessie Lucille Sherman (my great-grandmother), it is her ancestral line that goes all the way back to the Mayflower pilgrims Edward Doty, George Soule and John Alden. This image shows my direct line. I know where my tenaciousness (some say stubbornness) comes from! I also found the "black sheep" of our family William Eugene McCown, half-brother of my grandmother Marjorie Ann Lorenz (McCown). He was the gay relative no one talked about but boy, what a life he led in Paris during the 1920s! During my research, imagine my surprise when I found out my husband and I are related! 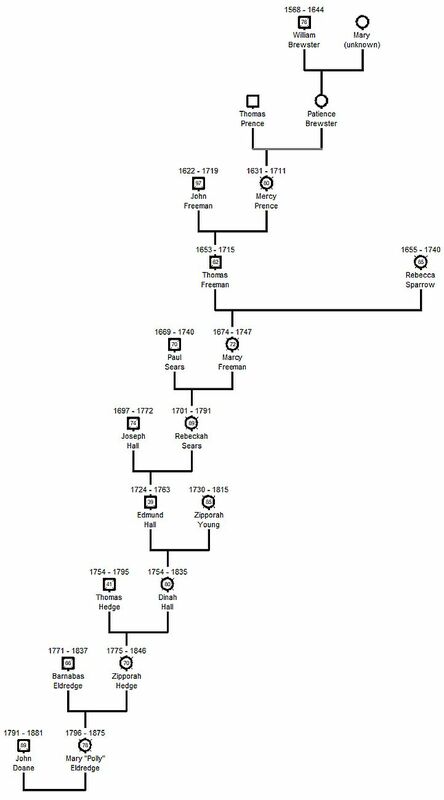 His ninth great-grandfather John Doane (1590-1685) is also my tenth great-grandfather. 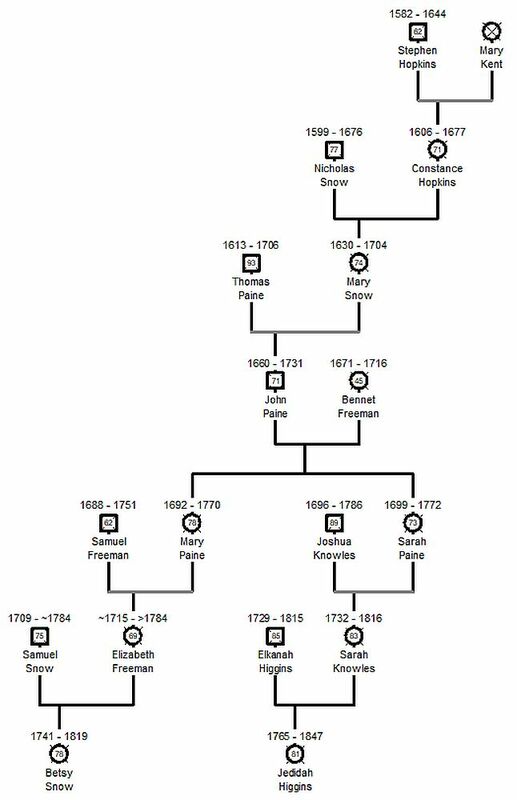 John Doane's granddaughter, Dorcas Jane Hicks (1652-1712) married Edmund Shearman (1641-1719), my 8th great-grandfather. 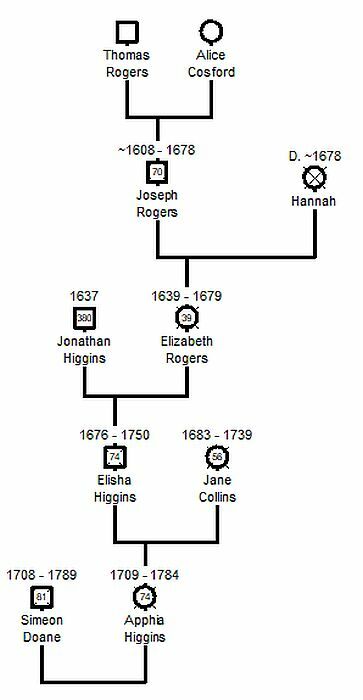 And last but not least, my Mayflower ancestor, Edward Doty, was the indentured servant of my husband's Mayflower ancestor, Stephen Hopkins. 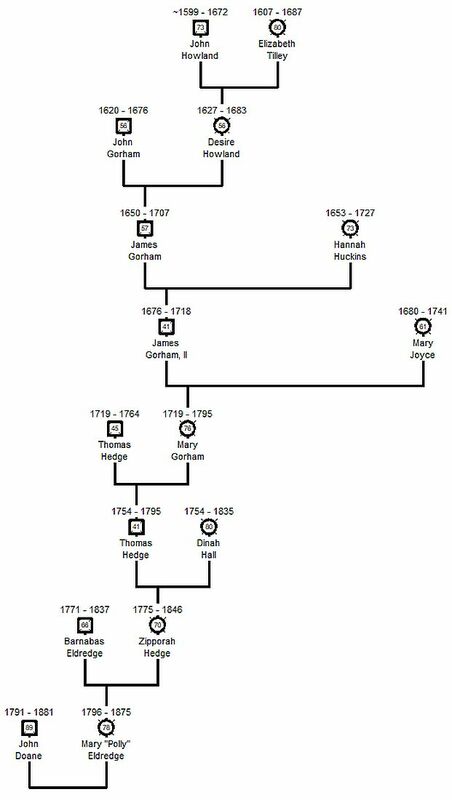 My husband is descended from immigrant John Perry, II arrived in Watertown, Massachusetts in 1666. My husband's great-grandfather, Rev. David Brainard Perry, married Helen Doane and so is also descended from immigrant Deacon John Doane and Anne Perkins. He, too, is a Mayflower descendant through his Doane ancestors, or more specifically, mainly through the wives of his four direct ancestor Doanes: Simeon Doane m. Apphia Higgins, John Doane m. Betsy Snow, Timothy Doane m. Jeddiah Higgins and Squire John Doane m. Mary "Polly" Eldridge. The pilgrims he's descended from are: William Brewster, Stephen Hopkins, John Howland, and Joseph Rogers. The links below open up an image showing an overview of the direct lines discussed above.